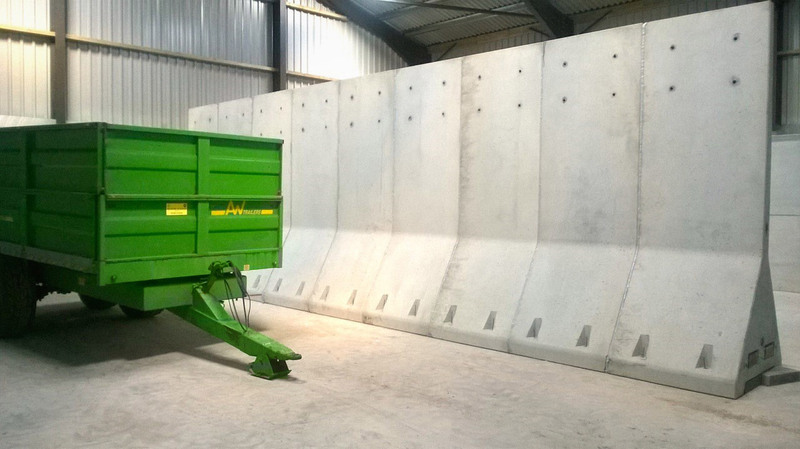 A-Shaped Walls (sometimes called “rocket walls”) are the ideal solution for the bulk storage of grain, silage, aggregates, and recycled materials. 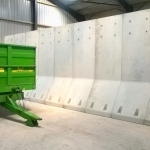 This unique inverted “Y” shape means that there is no toe for a loading shovel to hit and prevents the lodging of stored material. 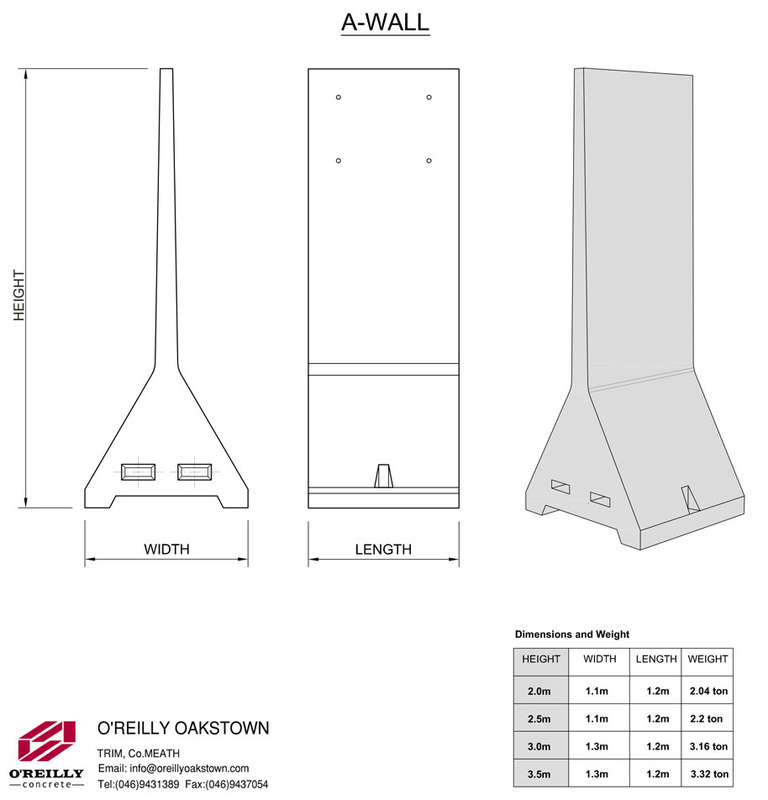 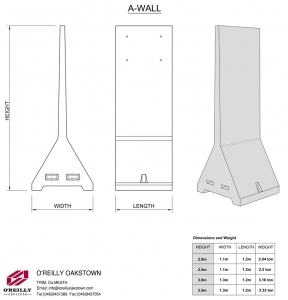 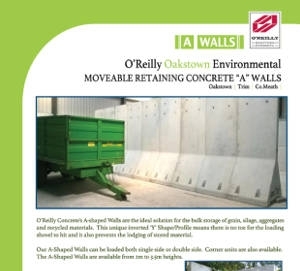 O’Reilly A-Shaped Walls can be loaded both single or double sided. 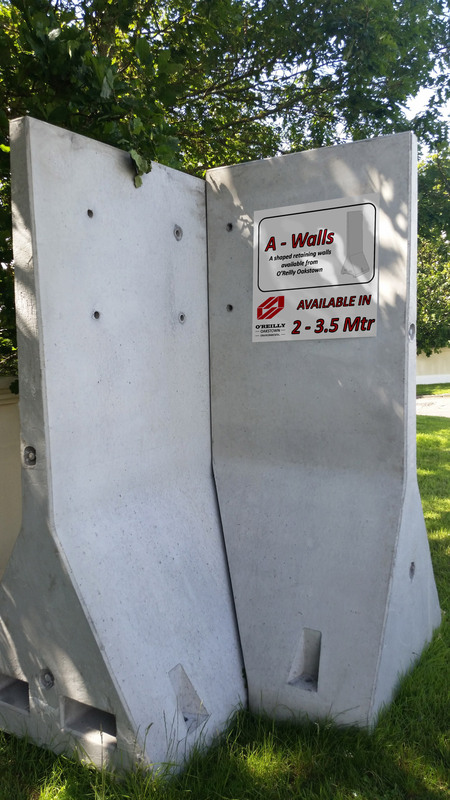 Our A-Shaped walls are available from 2 metre to 3.5 metre heights. 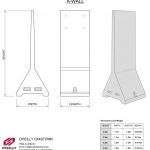 Corner units are also available. 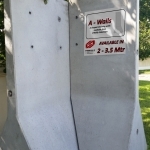 Lifting can be done using the cast-in socket on the side of the wall if lifting on their side, or the walls can be lifted vertically by using lifting pins towards the top of the wall.